Micheline Taillardat created her eponymous firm in 1987 after having been a decorator for fourteen years in a classical furniture manufacturing company. Her experience and her interest in the furniture of the 18th century have allowed her to embellish her own collection with a classic flair of French elegance, making her a household name all around the world. 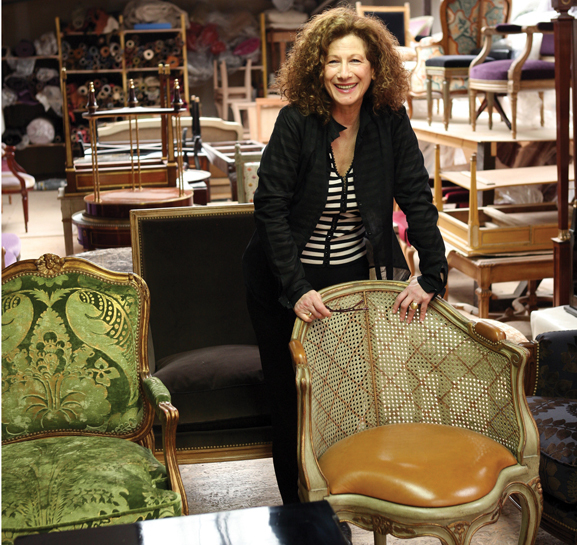 “My clients are art lovers who wish to take home a bit of Versailles,” she says. Over the last twenty years, inspired by the manufacturing methods and original drawings of the Age of Enlightenment, Taillardat has worked on creating a catalog of over 250 pieces of furniture. In her showrooms in Paris and New York (the latter opened in 2007), she displays, among other things, her bookcases, pedestal tables, bedside tables, and marquises. Each self-produced model is based on rigorous research. From these methods, an exquisite style emerges, attracting high-end customers wishing to recreate an à la française atmosphere in their homes.